Cook the pasta shells in boiling, salted water until tender. 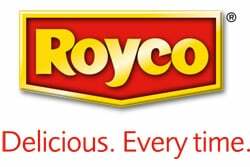 Prepare the 2 packets of ROYCO® Sour Cream & Mushroom Pasta Sauce according to pack instructions. Add spring onions and salmon; bring to the simmer, to heat through. Divide pasta between 4-5 plates, top with the salmon mixture. Arrange sliced avocado on top, then sprinkle with Parmesan and parsley / dill. Enjoy!